WHMCS is a web hosting billing and automation platform that primarily caters to hosting service providers. It can be customized to suit the billing requirements of other businesses as well. It enables businesses to generate custom invoices and provides billing features such as new invoice notifications, payment reminder notices and integrated payment gateways such as Paypal, Sage Pay and Quantum Gateway. The system automates various processes such as the setting up of services on receipt of payment, suspension of account for non-payment, password changes and welcome emails. Products can be set up for Hosting, VPS, Servers, Cloud and SSL. It also integrates domain management which allows clients to manage domain purchases from within WHMCS. Other domain related functionalities include automatic registration, availability checking, WHOIS information, domain locking and syncing. Reporting and statistics modules track payment, income and ticket ratings. The application enables customization of invoicing, client area and order form to suit business needs. I use WHMCS for 7+ years now. It makes my invoicing very easy, I can keep up with customers and their billing without spending too much time. The invoice reminders and automatic updates makes my work easier. I am able to add billing items quick, as I finish my work on a project. I can add a billing item to the user next invoice or bill it right away. I mostly use the invoicing features and reports. I may use the support ticket system later on. I am very happy with WHMCS, it saves me time and help me collect payments in a timely manner.WHMCS offers a variety of features, as billing & invoicing, large number of integrated payment methods, customer support ticket system, integration with CPanel, selling domains and hosting packages to your customers and much more. I like the automatic recurring invoicing the most, including automatic reminder before and after a missed due date. I like the customer ability to pay online, by clicking the link in the invoice email and going to the payment page. It has many useful reports, for specific periods, type of customers, taxed or not and more. I also like that they always improve the software to work with the current version of PHP/MySQL. It is an essential software for my business. WHMCS offers a variety of features, as billing & invoicing, large number of integrated payment methods, customer support ticket system, integration with CPanel, selling domains and hosting packages to your customers and much more. I like the automatic recurring invoicing the most, including automatic reminder before and after a missed due date. I like the customer ability to pay online, by clicking the link in the invoice email and going to the payment page. It has many useful reports, for specific periods, type of customers, taxed or not and more. I also like that they always improve the software to work with the current version of PHP/MySQL. It is an essential software for my business. Related to functionality everything works fine. The only downside: updating is a bit expensive, 99.95 USD/year. I'm very pleased to hear that WHMCS has the best invoices and support software for your hosting operation for the best part of a decade! We're continuing our history of supporting new technologies by introducing support for PHP 7.3 very soon! The main benefit is automation. With a growing company, the small, important tasks can take up your entire day. It's important to trust a reputable software with those tasks so you can focus on your customers.WHMCS has come a long way in a short amount of time. They seem receptive to user input, which is always a plus for me. Ultimately, it's a well-rounded solution for managing your web hosting business's customers and billing. There are many add-in options by WHMCS as well as third-party developers to help you achieve just about any task, automation, or feature that you may require. The fact that third-party developers are welcome to develop for this software is important to me. I've often hired out to have an add-on module created to my specifications. The support forums are a fantastic resource as well. There are quite a few people who generously offer their time to help each other. WHMCS has come a long way in a short amount of time. They seem receptive to user input, which is always a plus for me. Ultimately, it's a well-rounded solution for managing your web hosting business's customers and billing. There are many add-in options by WHMCS as well as third-party developers to help you achieve just about any task, automation, or feature that you may require. The fact that third-party developers are welcome to develop for this software is important to me. I've often hired out to have an add-on module created to my specifications. The support forums are a fantastic resource as well. There are quite a few people who generously offer their time to help each other. The updates can be temperamental, which can get frustrating when you're running a business. It seems to be common for users to wait quite some time before upgrading to the next version, just to make sure the kinks are worked out. Customer feedback really is the primary driver of the development of WHMCS, and we like to see that comes across. We look forward to automating your business operations for years to come! Very efficient, easy to use, easy accounting and great support. Perfect for domains and hosting. 1. Great GUI. Simple enough to make sure the user has an easy time accessing the many features easily. 2. Great automation options that let the system do most of the 'leg work' and the user's role is limited to only monitoring and so allowing for more time for them to concentrate on marketing of the features. 3. Has adequate security features to allow for secure transactions between the clients and the system with minimal or no exploitation gaps 4. Great notification systems to allow for an automated and easy communication to clients.Its wide variety of features that allow for many add-ons to the system depending on the users needs. The automation (once setup perfectly) allows users to control and maintain countless products and services easily and efficiently as all the details on specifics are easily accessible from the administrative user accounts. Very efficient accounting features i.e. invoice generation, email setup and SMS feature just to mention a few that once configured with the proper cron jobs allow for easy and professional host-to-client communication. The encryption by IONCUBE ensures very good security on the important files thus thoroughly reducing insecurity issues such as hacking. Its wide variety of features that allow for many add-ons to the system depending on the users needs. The automation (once setup perfectly) allows users to control and maintain countless products and services easily and efficiently as all the details on specifics are easily accessible from the administrative user accounts. Very efficient accounting features i.e. invoice generation, email setup and SMS feature just to mention a few that once configured with the proper cron jobs allow for easy and professional host-to-client communication. The encryption by IONCUBE ensures very good security on the important files thus thoroughly reducing insecurity issues such as hacking. Most of the best add-ons are not free and require constant renewals. The branding of the system (but this mostly depends on the license purchased). It should consider the uprising businesses (SMEs). I'm pleased to hear that WHMCS is allowing your business to run efficiently and automatically. Thanks for taking the time to write this review! WHMCS (along with WHM) completely automates the ordering, account setup and hosting services of several of my clients, leaving them free to respond to support requests and develop new products. The overall cost of ownership has been low, and the features it provides have paid for themselves several times over.WHMCS is very full featured and reliable system, offering just about all the tools you need to provide hosting services to customers. It can work in tandem with a server running WHM to automate the entire processs, allowing you to focus on developing new products and services. There are a multitude of third-party modules available, offering just about any features you may require (such as CRM capabilities, or specific payment gateways). WHMCS is reliable, and my clients make use of it every day for taking orders, managing products, and responding to support tickets. WHMCS is very full featured and reliable system, offering just about all the tools you need to provide hosting services to customers. It can work in tandem with a server running WHM to automate the entire processs, allowing you to focus on developing new products and services. There are a multitude of third-party modules available, offering just about any features you may require (such as CRM capabilities, or specific payment gateways). WHMCS is reliable, and my clients make use of it every day for taking orders, managing products, and responding to support tickets. The update process can be cumbersome, particularity if you have customized the product in any way, however the support for WHMCS is very good, and usually problems are easy to deal with. I do always try to update our of usual business hours, just in case. Thanks for taking the time to write this review. I'm pleased to hear we've been reliably providing all the tools needed for your operations for several years! Back in 2014, as I was looking for a CRM platform that could handle hosting customers, WHMCS was the way to go. As my company grew, it was time to invest in add-ons, like integrating Zendesk, Freshdesk and Google Suite reseller portal with our system. ModulesGarden provided us the necessary functionality, but as their policy changed to SaaS, our annual costs raised by over 600%. Without doubt, WHMCS is a great platform. But without the necessary functionality, larger companies will have to invest. Price, design and functionality. The admin panel looks outdated, their price policy has changed and the functionality needs improvement. I definitely recommend WHMCS to other my colleagues, but it's not perfect. I'm pleased to hear that WHMCS has been providing your business automation needs for several years; we pride ourselves on our longevity. Our platform is designed with some specific industries in mind and we have a number of developer resources available which allow it to be extended to meet individual needs. The policies and pricing of external vendors and developers is outside our control. WHMCS provides customizable invoices supporting recurring billing and multiple currencies. Products can be set up for Hosting, VPS Servers, Cloud and SSL. The platform allows integration with social media platforms such as Facebook and Twitter to allow users to comment on the service. WHMCS automatically sets up services as soon as the payment is made. The platform tracks all the payments, forecasts income and generates reports for analyzing orders, income and ticket ratings. Below are some frequently asked questions for WHMCS. Q. What type of pricing plans does WHMCS offer? Q. Who are the typical users of WHMCS? Q. What languages does WHMCS support? Q. Does WHMCS support mobile devices? Q. Does WHMCS offer an API? Yes, WHMCS has an API available for use. Q. What other apps does WHMCS integrate with? Q. 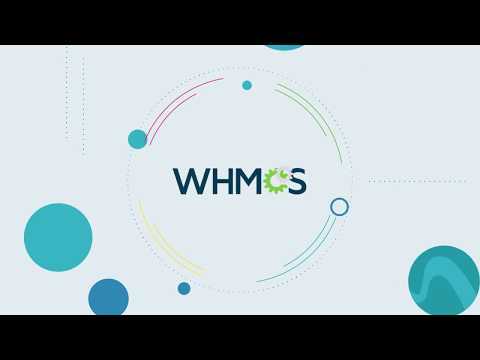 What level of support does WHMCS offer? Q. Which apps is WHMCS compared to most often?